Neurotransmitters are the human body’s chemical messengers. These sensory neuron molecules are used by our central and peripheral nervous system to rapidly send messages between muscles and the brain or from neurons to muscles in the body. 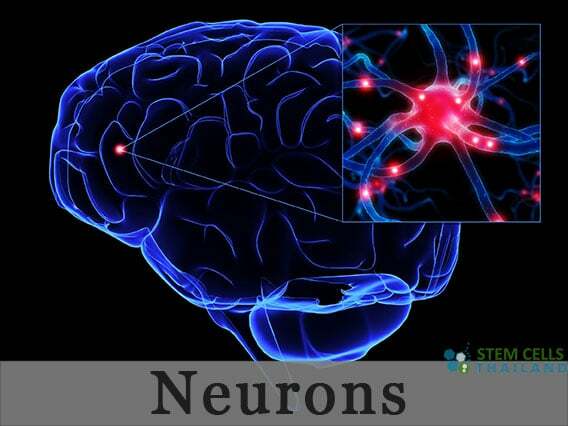 The neuro and Gastrointestinal neurotransmitter communication starts in the synaptic cleft of 2 neuron cells. 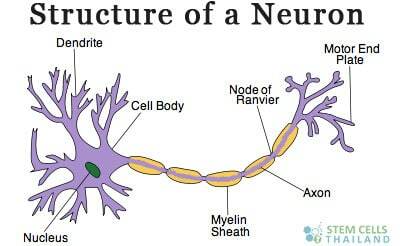 The neural synaptic gap exists between the synapses of neuron cells. All electrical signals generated by neuron cells travel along the axon and then help convert the electrical signals into chemical signals that help regulate the release of neurotransmitters resulting in a movement or desired response. What is the speed of neural signaling? So how do we measure brain activity in people? Recent research indicates that the speed of the signals are variable and can range from milliseconds to a few seconds for neural cells to restore and reuse these powerful chemicals resulting in a nearly endless source of rapid communication. A recent speed test of neurotransmitters demonstrated that a healthy myelinated axon creates an action equivalent to the speed of roughly 120 m/s. What is the function of neurotransmitters and how do they affect neurons? As the name sounds, inhibitory transmitters prevents the creation of electrical signals while excitatory transmitters help cause the generation of action potentials ( electrical signal ) in the receiving neurons. The ability to attach to other receptors is determined by which pose the neurotransmitter are in. Neuromodulating neurotransmitters are slightly different in how they function as they are not limited to remaining in synaptic gaps between two ( A + B) neurons and instead can affect very large quantities of neurons in the body to act at once. Neuromodulators help to regulate large populations of neurons and operate much slower than inhibitory & excitatory neurotransmitters. One of the first and most important neurotransmitters found is a molecule named acetylcholine. Acetylcholine is a small molecule but plays a big role in managing the peripheral nervous system (PNS), where it gets used and released by neurons & motor neurons that make up the autonomic nervous system. Acetylcholine also plays an critical role in maintaining cognitive functions in the CNS. Any damage or disease of neurons in the CNS is associated with traumatic brain injuries and neurodegenerative conditions like Motor Neuron Disease,peripheral neuropathy Multiple Sclerosis and Alzheimers disease. Can excitatory neurochemicals affect motivation? The main excitatory transmitter in the CNS is Glutamate and dopamine.Its a known fact that large amounts of the transmitter glutamate are released during a brain stroke. The main inhibitory neurotransmitters are derivative γ-aminobutyric acid (GABA) but other inhibitory neurotransmitters known as glycine are found in the spinal cord and usually damaged during spinal cord injuries. Low levels of dopamine in the body are linked to Parkinson’s disease while high levels of dopamine can result in schizophrenia. Histamine is another type of monoamines and plays a very important role in neurogenesis and helping to regulate our body metabolism, temperature, helping to regulating interactions between hormones, and controlling our sleep-wake cycle. Are there neurotransmitters in the gut? Neurons that use the (monoamine) serotonin (another) helps to regulate several parts of the nervous system. Serotonin is crucial in functions such as memory, sleep, mood and appetite. These Neurotransmitters are also produced in our gastrointestinal tract. As medical science has recently learned, that peripheral produced serotonin (or dysfunction in producing these types of transmitters) has been linked to several diseases such as crohn’s, irritable bowel syndrome, cardiovascular heart disease, osteoporosis and osteoarthritis. With each new clinical trial and passing year biologists and neuroscientists are discovering more and more about cell signaling and important chemical messengers that are critical in the proper function of the gut-brain axis that regulates overall bodily function. To learn more about functional healthcare,stem cell treatments,the missing link, neurons and function of neurotransmitters please contact us today. I wanted to know how the neuron cells can send and receive messages from other neurons? My brother had a motocycle accident last december and we are looking for stem cell therapy as an option because our doctors here have basically told us they cannot do anything.